Scared of the word FAT? Fats have been portrayed as being bad for our health which has built a fear among society, pushing people to avoid them in the daily diet at all costs. Did you know? Our good fats like EFAs (Essential Fatty Acids) are fats that bodies cannot produce on their own, hence being 'essential' on a daily basis. We need to consume EFAs daily to maintain overall vitality, transportation of fat soluble vitamins around the body and for the protection of cells, as EFAs coat every cell in our body, e.g. lipid layer. This creates an anti-inflammatory environment in the body imperative for the healing processes and reduction of inflammation. Brain – fats compose more than 50% of the brain with a large part being comprised of the omega-3 fatty acid docohexapentoic acid or DHA. 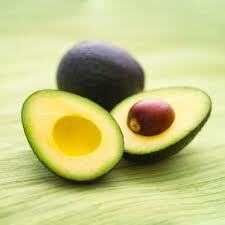 Fats are essential to brain function, including learning abilities, memory, cognitive and mood. Strong mind equals strong body. · Joints – EFAs are essential in joint health. Omega-3s reduce joint inflammation and increase many compounds directly involved in joint regeneration protecting against arthritis and many other inflammatory disease. · Muscles – when tearing it up in preparation for the greatest athlete our muscles obtain micro tears and inflammation. Essential fatty acids and their lipid derivatives (known as eicosanoids) help with blood clotting, local tissue repair and cell growth reducing recovering time and protecting against muscular injuries. · Heart – 60% of our heart’s energy comes from burning fats. EFAs are utilised in the body to keep the heart beating in a regular rhythm and are also essential for maintaining healthy cholesterol levels. · Nerves – fats compose the material that insulates and protects the nerves, isolating electrical impulses and speeding up transmission of messages around the body, e.g. muscle memory and communication. · Lungs – lung surfactant requires a high concentration of saturated fats which enables the lungs to function optimally and protects the lungs walls from collapsing. EFA’S transport oxygen from your lungs into the bloodstream & into cells. 1. 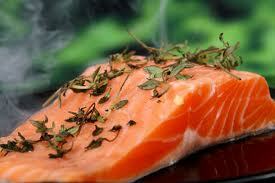 Add fresh fish into the diet; at least three servings per week. 2. Supplement with a high strength liquid fish oil. 3. 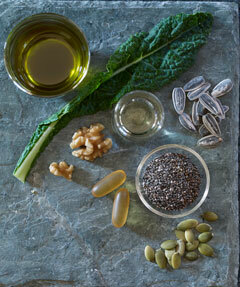 Supplement with Vegan Flaxseed oil. 4. Supplement with Vegan Chia seed oil. 5. Supplement with Vegan UDOs Omega 3, 6, 9 Oil. 6. Snack on raw nuts and seeds for morning and afternoon tea. 7. Add chia seeds and flaxseeds to your breakfast daily breakfast bowl or super smoothie. 8. Use extra virgin olive oil and fresh avocado on your toast instead of butter and highly refined table spreads. 9. Use extra virgin olive oil for salad dressings and only use in low heat cooking less than 150 degrees. 10. Raw nuts contain our heart healthy monounsaturated and polyunsaturated fats. Avoid roasted/dry roasted nuts contain high amounts of saturated fats.